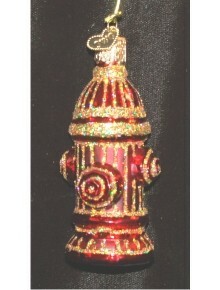 The first water pump designed specifically to fight fire was designed in Egypt and dates to 300 B.C. 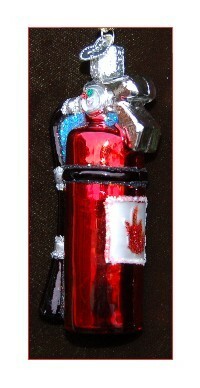 This same design was improved 200 years later by Roman citizen Egyptian resident Hero of Alexandria. It is under the Romans that we first see fire fighting groups organized to the specific purpose of saving lives and putting out fires in both private and commercial property buildings. 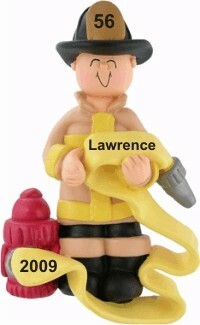 Since that time, communities of volunteers were organized throughout the Middle Ages and into modern times where groups of men and women come together as the Volunteer Fire Department in rural areas. 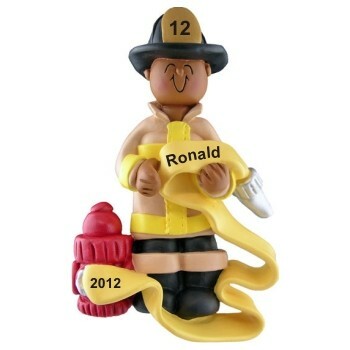 In our cities, the tax payers support the local fire department, made up of a Fire Chief and Firefighters that work under him or her. These men and women usually sleep in the fire house as they have to be on call 24 hours a day. The typical shift is 24 hours on, then 48 hours off with 3 shifts rotating at all times. We celebrate these men and women who dedicated their lives to saving others from fire. 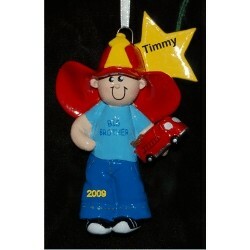 Our fireman ornaments can be personalized as firefighter ornaments for adults as well as for the kids who adore them. 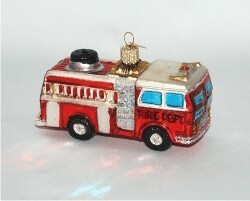 We offer fire truck Christmas ornaments, a fire plug ornament, as well as firefighter ornaments personalized as gifts and to honor those who serve us fearless during day and night, in rain or sleet or hail...under any circumstance when we need them. 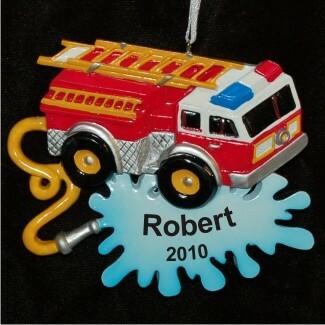 Our firefighter Christmas ornaments can be purchased in bulk for volunteer firefighting departments, as well as for graduates of firefighting school or local units after battling a particularly vicious fire. Please click on the Contact Us link at the bottom of this page in the blue banner and tell us what your specific needs are. 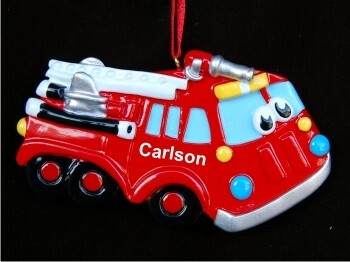 We're happy to put together a custom firefighter Christmas ornaments package specific to your program needs.